2 THE IMPORTANCE OF CHOOSING THE RIGHT RECOVERY PARTNER. You do have a choice when it comes to inpatient rehabilitation, and the decision you make can make all the difference. 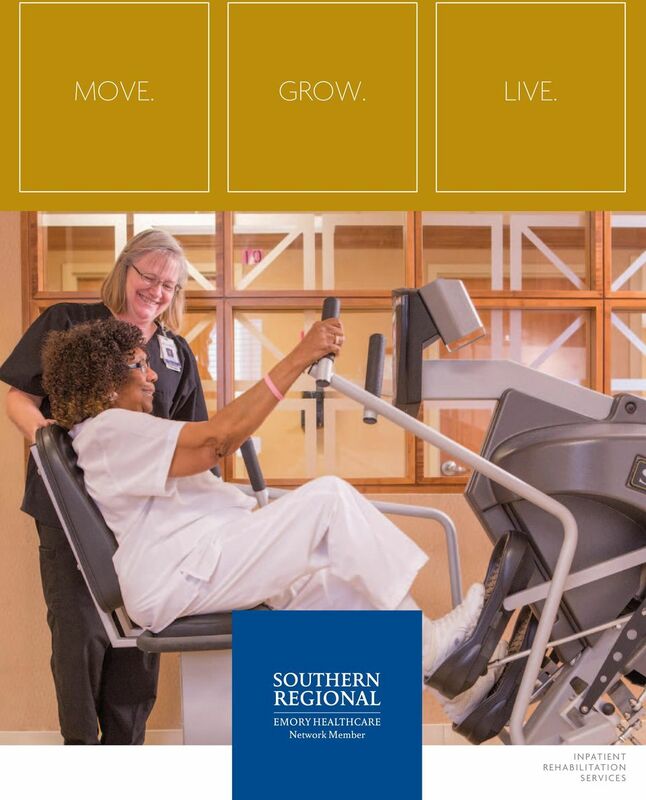 At the Rehabilitation Center At Southern Regional, we know successful rehabilitation takes more than just clinical knowledge and technology. It takes dedicated professionals, proven therapies, family involvement and a warm, friendly atmosphere of support. That s exactly what you ll find at The Rehabilitation Center At Southern Regional. 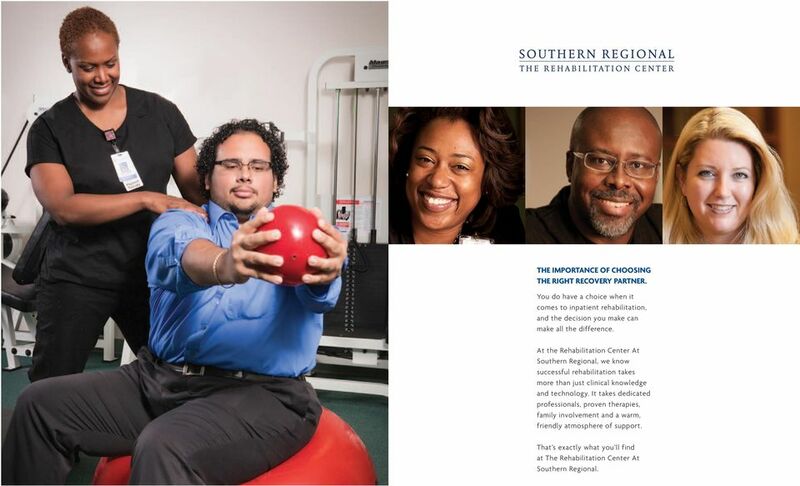 3 WHAT IS THE REHABILITATION CENTER AT SOUTHERN REGIONAL? It s a special inpatient unit for patients who aren t ready to go home and need intensive therapy and nursing care. Many of the people who come here have experienced one of the following: Stroke Spinal cord injury Amputation Congenital deformity Major multiple traumas Arthritis in multiple joints that limits activity Burns Complicated joint replacements Neurological disorder Brain injury Fractured hip WHO IS IT FOR? It s for those who have a diagnosed medical condition that limits their ability to perform normal, daily activities, such as eating, dressing, walking, speaking, bathing, grooming, remembering, etc. It s limited to those patients with a medical need to be the hospital and receive therapy and rehabilitation nursing services. One other thing: you must be motivated to receive and benefit from a minimum of three hours of therapy for at least five days a week. It s work. But it s work that helps you get back to living your life. 4 A BETTER ENVIRONMENT FOR SUCCESS. The minute you enter our facility, you ll notice some real differences. 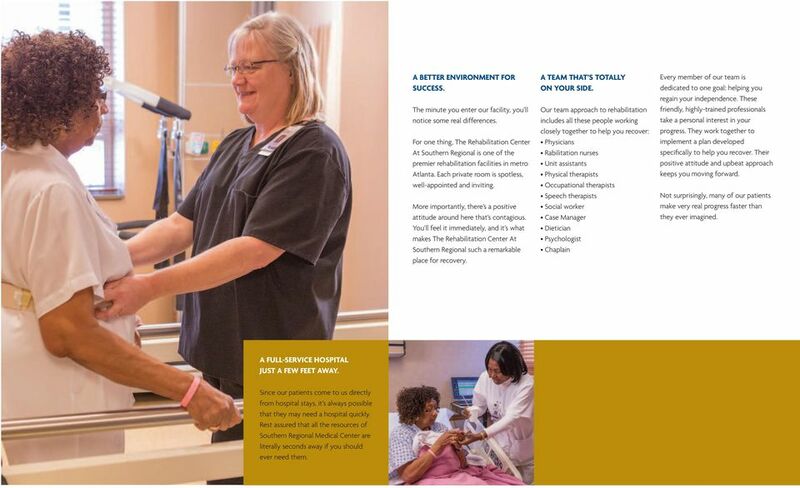 For one thing, The Rehabilitation Center At Southern Regional is one of the premier rehabilitation facilities in metro Atlanta. Each private room is spotless, well-appointed and inviting. More importantly, there s a positive attitude around here that s contagious. You ll feel it immediately, and it s what makes The Rehabilitation Center At Southern Regional such a remarkable place for recovery. A TEAM THAT S TOTALLY ON YOUR SIDE. Our team approach to rehabilitation includes all these people working closely together to help you recover: Physicians Rabilitation nurses Unit assistants Physical therapists Occupational therapists Speech therapists Social worker Case Manager Dietician Psychologist Chaplain Every member of our team is dedicated to one goal: helping you regain your independence. These friendly, highly-trained professionals take a personal interest in your progress. They work together to implement a plan developed specifically to help you recover. Their positive attitude and upbeat approach keeps you moving forward. Not surprisingly, many of our patients make very real progress faster than they ever imagined. A FULL-SERVICE HOSPITAL JUST A FEW FEET AWAY. Since our patients come to us directly from hospital stays, it s always possible that they may need a hospital quickly. 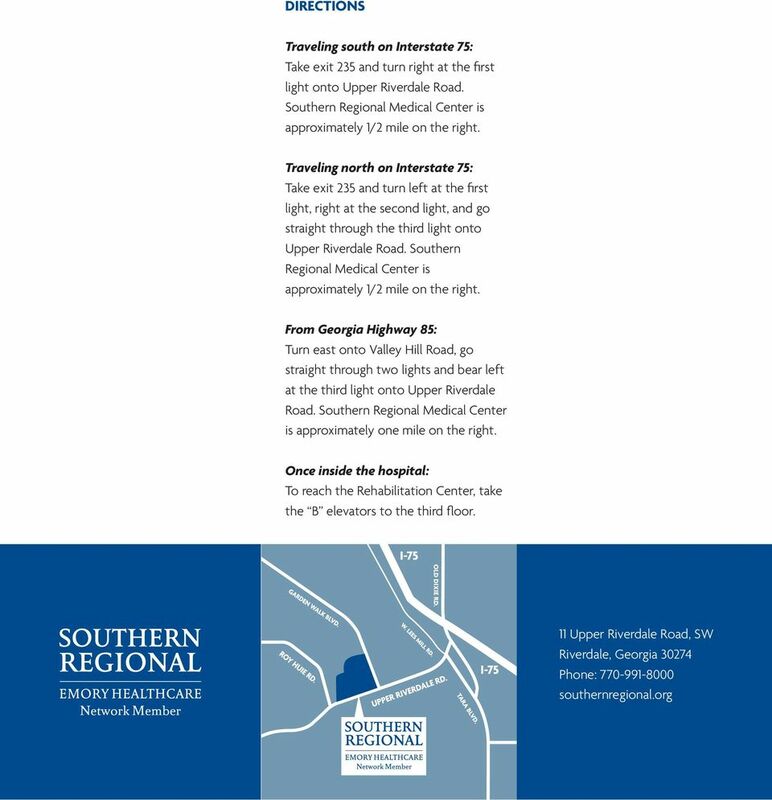 Rest assured that all the resources of Southern Regional Medical Center are literally seconds away if you should ever need them. To u c h p oin t s at M a n c h e s t e r. Get Well. Live Well. Be Well. Family Caregiver Guide Planning for Inpatient Rehabilitation (Rehab) Services What Is Rehab? 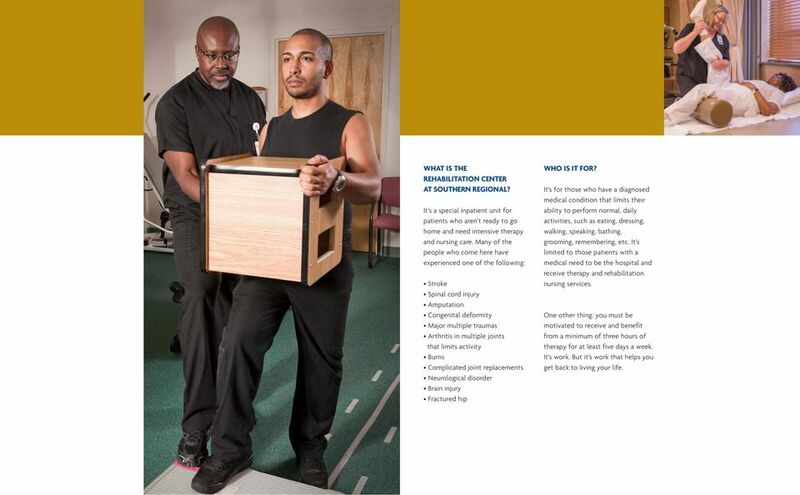 Many patients say that the transition (move) from a hospital or other care setting to rehab can be very confusing. Questions Moving to Rehab Looking for more health information? Page 1 MS Learn Online Feature Presentation Rehab Options for People with Primary-Progressive MS Nicholas LaRocca, PhD Tracey>> Welcome to MS Learn Online I m Tracey Kimball. Tom>> And I m Tom Kimball. 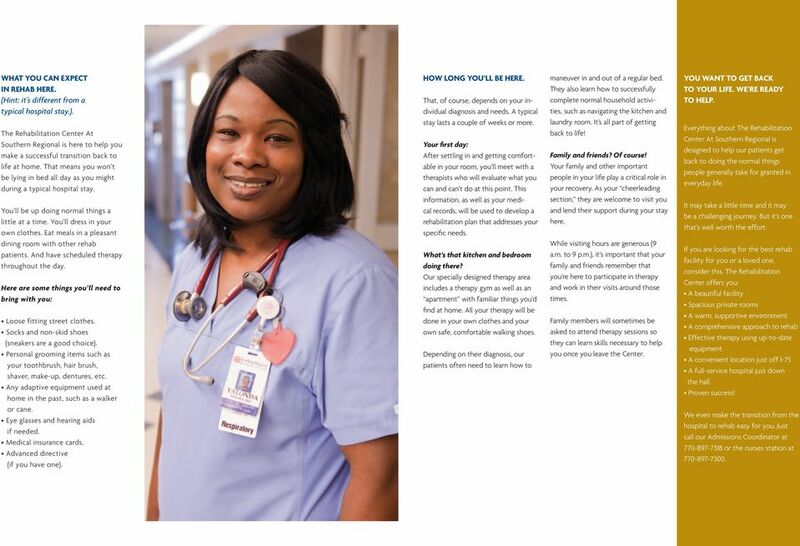 Arranging for Discharge to Rehabilitation or Long Term Care in a Skilled Nursing Facility (SNF) Important Information for you and your family. Wichita. Many choices, one community for the way you want to live. The Rehab Program At Stillwater Medical Center Disclosure Statement January 1 2014 December 31-2014. Patient Name. W elcome! CityViewVilla Assisted Living would like to thank you for considering our lovely community. Our beautifully decorated community is nestled between historic Hancock Park, Hollywood and West Hollywood. 2015 Capital Campaign Founded in faith Driven by excellence The VISION lives on Dear Friends: Fifty years ago, God moved in a phenomenal way when our ministry started with the vision of just a few men. Your Life Called. It Wants You Back. Your Life Called. It Wants You Back. Duke Raleigh Orthopaedic and Spine Center Duke Raleigh Orthopaedic and Spine Center A quick trip to the grocery store. A walk to the mailbox. A hug from a grandchild. 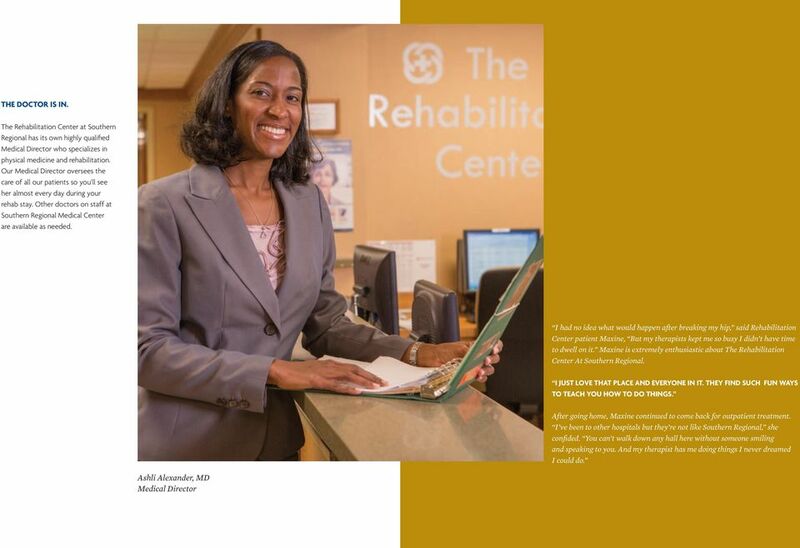 Shepherd Center is a world-renowned provider of comprehensive, specialized rehabilitation for people with spinal cord injury, brain injury or stroke.